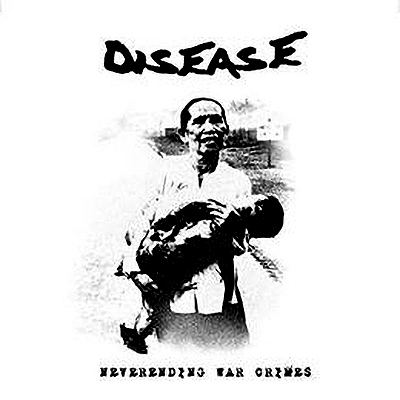 LP | "Neverending War Crimes"
DISEASE from Macedonia need no introduction, the best D-Beat, Raw Punk band of the Balkan area already is well-known from different tape and 7" EP releases. 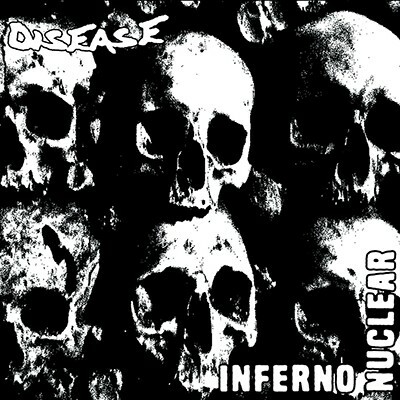 DISEASE delivers an overdose of pure DISCLOSE worship, unleashed japanese-style D-Beat mixed with chaotic and raging Raw Punk. 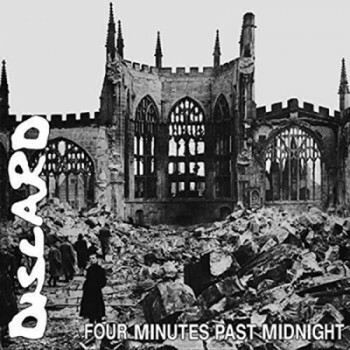 Not any novelties, no acoustic intros, no melodic lead parts, just pure Noise Punk chords with the typical anti war lyrics. 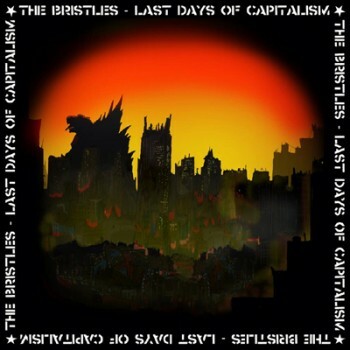 This here already is the second pressing on Red vinyl (strictly limited to 200 copies, first pressing was done in the year 2016), this album comes in a nice pocket cover with reverse artwork and extra lyric sheet.